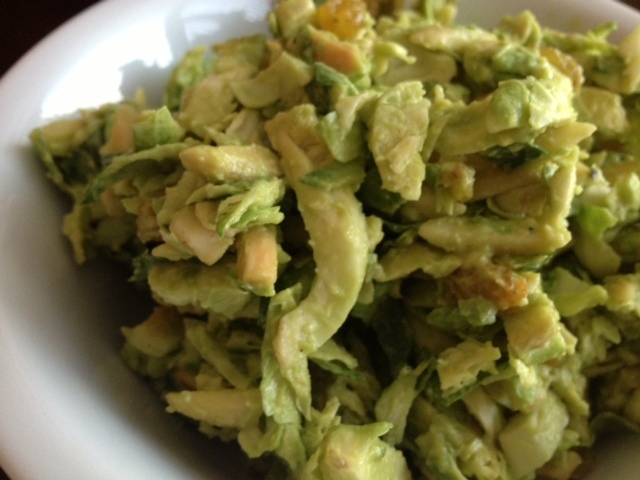 Creamy Crunchy Brussels Sprouts Salad. 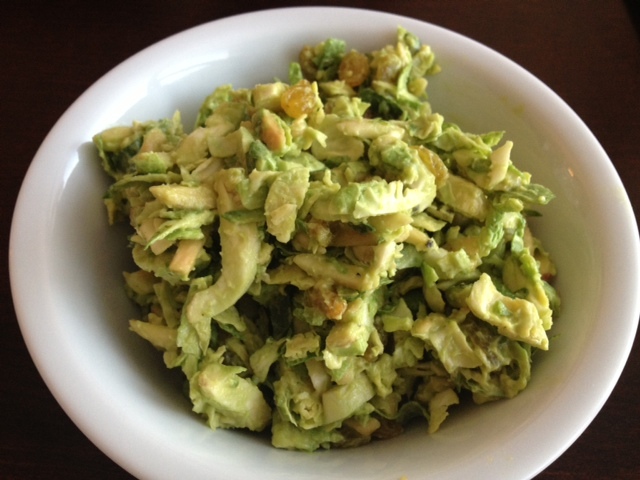 Shaved Brussels Sprouts Salad With Toasted Almonds & Golden Raisins in a Tangy Avocado Dressing. I absolutely love Brussels sprouts and how versatile they are! 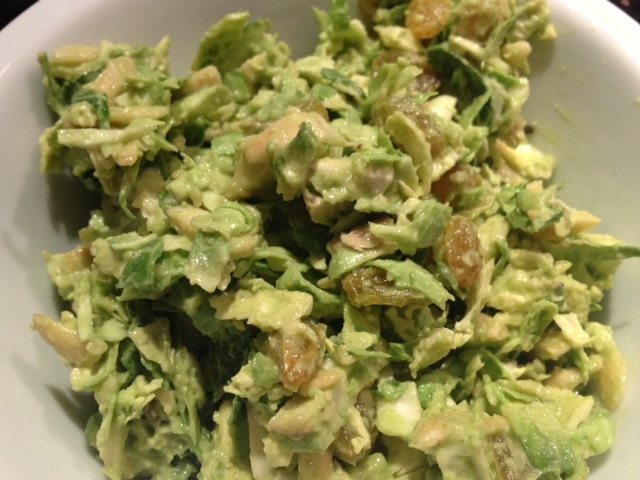 This raw Brussels sprouts salad is super delicious and healthy. It makes a great side dish but is also very filling, so it’s hearty enough to eat on its own for a meal. Begin by toasting the almonds. 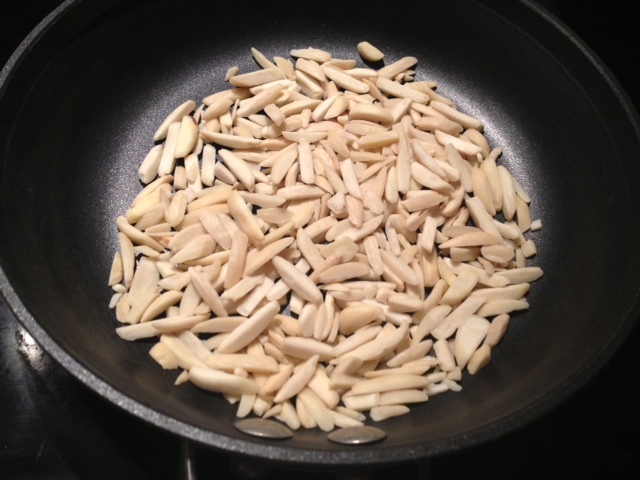 Heat a pan on medium heat (no oil) and add in the almonds. Watch them closely, stirring them around often, until they are a golden brown color. This should take about 5 minutes. Once toasted, set them aside to cool. Put the avocado in the food processor along with the apple cider vinegar and a dash of garlic salt/black pepper. 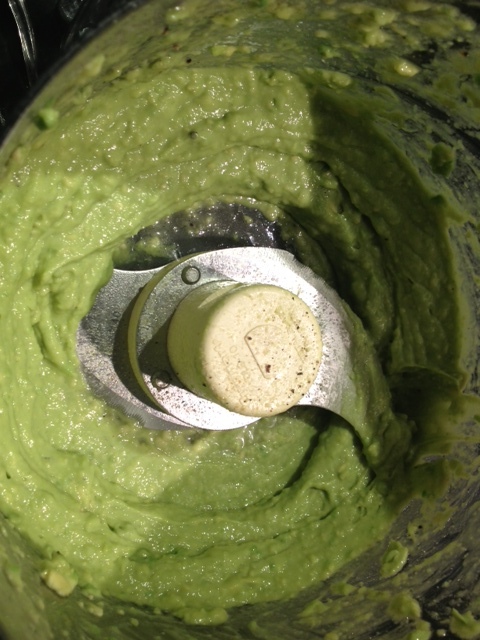 Blend until the avocado is a smooth and creamy consistency. 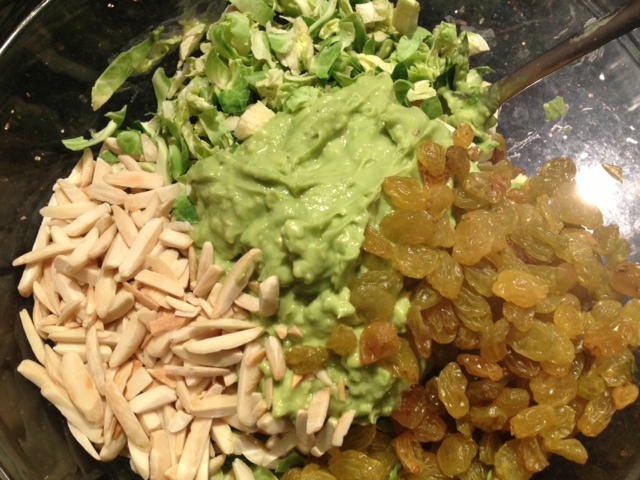 In a large mixing bowl add the Brussels sprouts, raisins, almonds and the avocado dressing. Toss well to combine the ingredients. ← Red Hot Buffalo Chicken Mac & Cheese.